Are you looking for ways to reduce the rate of sediment buildup in your water pipes? Over time, pipes can become restricted due to the buildup of corrosion and sediment, which reduces the useful lives of your plumbing pipes. Thankfully, lining your pipes with an epoxy pipe liner is an effective way to remove current sediment and prevent future sediment. 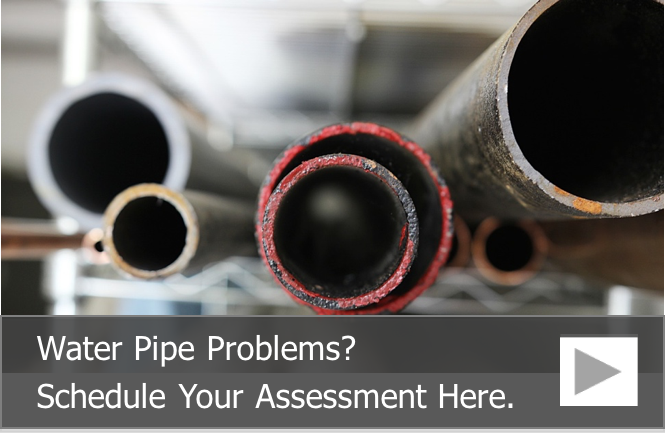 Below are six questions we commonly receive about preventing sediment in plumbing pipes with pipe lining. 1. What is sediment in your water pipes? When we talk about sediment in water pipes, we are talking about tiny solid particles that are suspended in the water. These solid particles can be comprised of sand, grit, lime or calcium scale and flecks of metal. Excessive amounts of sediment can cause potable water to appear cloudy, yellow, red or black, depending on the type of sediment in the water. For example, cloudy water can indicate the presence of lime buildup. Red water can indicate rust. Brown or black colored water can indicate that the city had some plumbing work performed somewhere along the system and dirt or sand accidentally got into the plumbing pipes or sediment was knocked loose once the water service was restored. 2. Why is sediment harmful for your plumbing pipes? Sediment is often times the result of corrosion, which means as the water flows through your pipes, it interacts with the metal. This interaction causes the buildup of scale. As the buildup worsens, you may notice a change in the color, taste or smell of your water, and you may notice a white flaky buildup on your kitchen and bathroom fixtures. 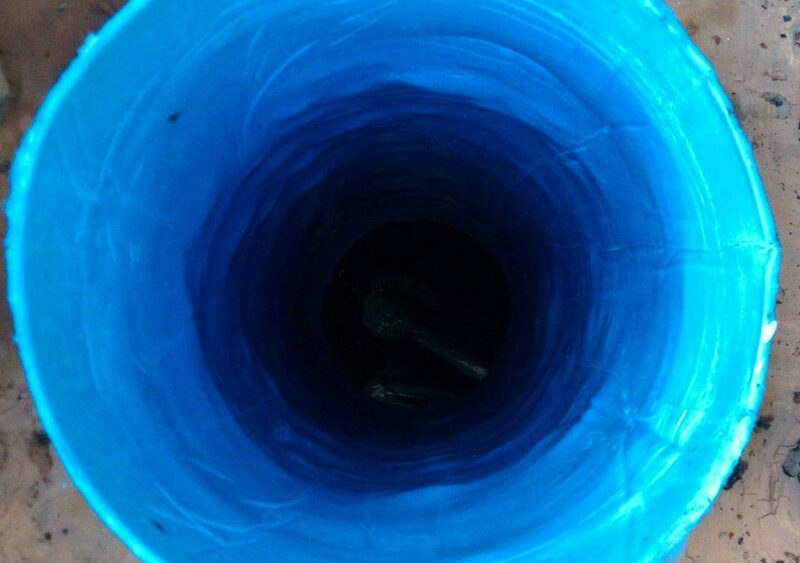 As the pipe starts to corrode and develop a layer of sediment, the internal diameter is reduced. If the sediment is allowed to collect for an extended period of time, the internal pipe diameter can be severely reduced or completely blocked. 3. Does pipe lining prevent sediment buildup in plumbing pipes? Pipe lining does prevent sediment buildup in plumbing pipes by preventing the water from coming into contact with the metal of the pipe. When the interaction between the metal of the host pipe and the water is prevented, sediment does not collect on the inside of the pipe. 4. Will the sediment in my Chicago plumbing pipes return? The sediment that occurs due to the interaction of the water at the pipe material will not return after your pipes have been lined. However, other types of sediment may occur. For example, if your hot water heater has not been flushed recently, sediment from inside the water heater may flow through your pipes, and you may notice scale buildup on the outsides of your faucets and water fixtures. Also, if your municipal plumbing pipes are replaced or repaired, there may be a sudden burst of sediment through your plumbing pipes as the sediment stirred up by the plumbing work makes its way through the system. 5. How does pipe lining prevent sediment from returning? Pipe lining involves either inserting an epoxy soaked liner into your plumbing pipes or blowing an epoxy coating through your pipes so that it covers every inch of the internal diameter. Once your pipes are successfully lined with either an epoxy coating or an epoxy pipe liner, the water flows down the epoxy liner instead of the material of the host pipe. This means that sediment will not return in the pipes that have been lined. 6. How can I learn more about the benefits of pipe lining in Chicago? You can learn more about the benefits of commercial, industrial and residential pipe lining in Chicago by calling us at 815-790-9000. We’d be happy to talk to you about your plumbing pipes and how we can help extend their useful lives while preventing many common plumbing pipe problems, like corrosion, leaks and sediment.